As business owners, we are guilty of trying to handle everything by ourselves. They know that this is bad but somehow we cannot get ourselves to hand over the reins to someone else. We always doubt their capabilities and not trust them to do the job right. However, when our business grows there are certain aspects of our business that we cannot effectively manage on our own tasks that are related to web marketing. This is the time to look for a partner agency whose forte is digital marketing. There are many digital marketing agencies around that promises to give your business a boost but many of them are not good too. 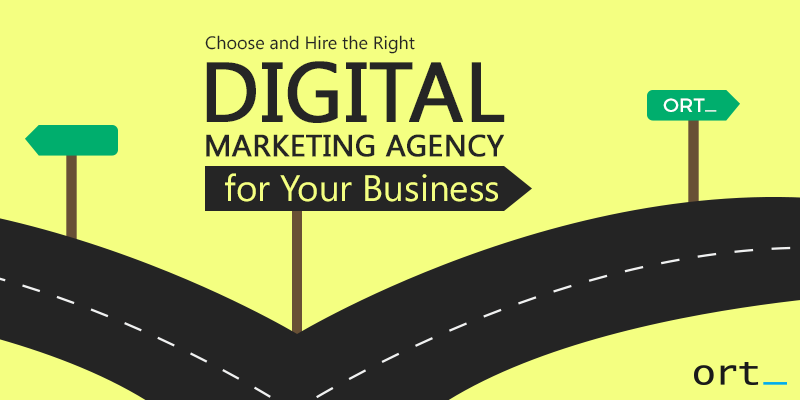 It is important to have a digital marketing agency that can represent your business and you in the best way possible. We have compiled here the top considerations when selecting a digital marketing firm. Before searching for a digital marketing company to represent you, you have to know what you want. You have to gather your team together and devise a list you want the marketing company to do for you. Online Advertising all it various forms — Instagram promoted posts, Facebook sponsored posts, Google AdSense etc. These are only samples. Your team knows what your company needs when it is time to meet with the marketing firm, you will be speaking the same language. Not very digital marketing firm serves the same menu and just because they have them on their services, it doesn’t necessarily follow that they are good at it. A big company will not give you an instantaneous result either. It is important to make sure that the digital marketing company caters to a niche. Sometimes small marketing firms are better because they have a deeper understanding of the market. There are also firms that accept the job even if they don’t have experience working on your product or your field. They can deliver the work but it is not creative enough and looks like the one that comes out of their portfolio. If you want to see for real how this digital firm work, look into their current work. If you are gunning for creativity, check if they have the playful tone you are looking for. Or if you want your product or services to sound serious, then check out if they can project a professional tone. These apply to other aspects of digital marketing as well. There is a multitude of ways to check them out. First is known how is their SEO/SEM presence. Did you find them online because they are on top the search results? If the answer is yes, this is an indication that they know their job well and can apply them to your business. The blog contents on their website can also tell you a thousand of things about them. Are they regularly updating their blogs? Are you satisfied with the style of its contents? Put this in your mind, you are the customer here, you should look at the firm as a customer. This is the same way that your customer will look at you when you hand them over the project. The final price is determined by negotiating the contract. If you are not comfortable with the price, you can discuss it with the firm to make it more acceptable. It is quite understandable that most businesses are on a tight budget and representatives of the company on the negotiation table are advised that they should spend their money wisely. Although it is good to have a good deal, in reality, you will not get the best if you are not willing to pay the price. You should be flexible and consider a price range instead of focusing on an exact figure. If your numbers are non-negotiable then consider other components of the contract. Trying to cut corners in digital marketing always ends up in a disaster. You are buying not only the product but along with it is the training, creativity, experience, and hard work that is poured into creating them. Just remember, the price you are going to pay is directly proportional to the effort that will be put in your campaign. If you pay low, don’t expect to get the top talent. If you want a campaign and willing to pay only a couple of hundred dollars a month, then be prepared for the unsatisfactory results. Even if you have gone as far as the negotiation process and you did not agree, don’t be afraid to walk away. As long as you stand firm on your standards, your business money is on safe hands. As long as you are clear and open about the direction you want for your company, it will determine whether this digital marketing firm is for you. Your company isn’t built overnight, don’t expect to get a digital marketing firm that easy. These are just some important elements that you should consider and what you should do when you are tasked to select a good digital marketing agency. The list is not finite, it is in fact expanding. These are just the bare essentials that can provide you with ideas on how to deal with a digital marketing firm. Every company has their own different needs, and the best advice is to have a deeper knowledge about your company before meeting a digital marketing firm. If you have the list of must-haves then you can start the discussion from there. There are many tools that a company may require in order to succeed and online marketing for now is the most effective.